One of my favorite aspects of shooting commissioned work is the opportunity to apply my creative problem solving skills to address a client's specific need. InVision Distinctive Eyewear is a local full-service optical boutique specializing in unique handmade frames from Europe and Japan. In our age of online convenience bargain shopping, my challenge was to convey the custom style experience a customer can expect when shopping at InVision. We created a mix of upbeat images showcasing a fashion-forward yet authentic and accessible look. And we had a lot of fun doing it! 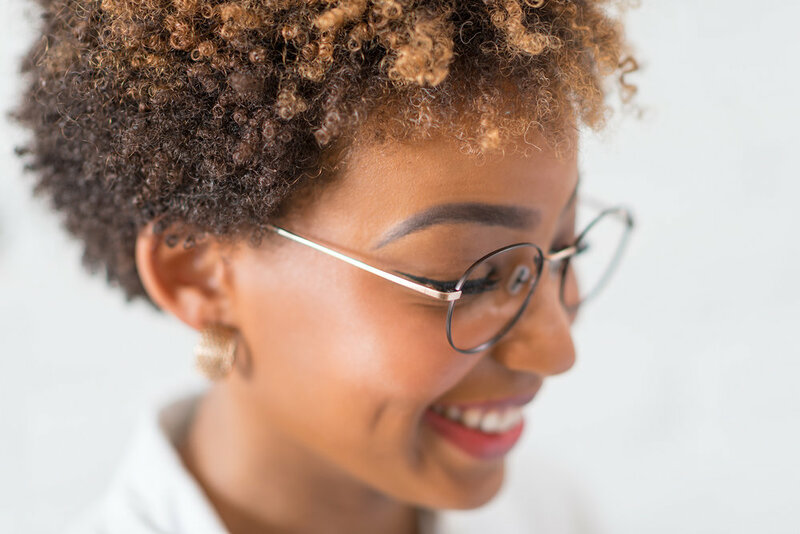 You can shop InVision's unique selection of eyewear at four Twin Cities locations: Grand Avenue in St. Paul, North Loop in Minneapolis, Galleria in Edina, and Wayzata Blvd in Minnetonka. How do I make a picture that transcends the familiar, while drawing the viewer to the subtle details? Seemingly ordinary subjects present a unique challenge when it comes to storytelling. For Uprooted I have been visiting Belmond Iowa repeatedly over the course of the past 5 years to document the town and it's residents. It's the quiet specifics of a scene that interest me while pursuing extraordinary descriptions of every day life. These days, we talk a lot about the slippery nature of truth. Even Facebook has started revealing sources of articles posted on its news feed. During my days as a student in photojournalism, ideals like truth and objectivity were drilled down every day. Yet I was never satisfied with the J-School definition of truth. In recent years, social justice movements like Black Lives Matter have forced consumers of mainstream media to recognize that truth has everything to do with who is telling the story, as well as the intended audience. A portrait is your mirror. It's you. Quotes can be deceiving– we don't know the circumstances under which they were uttered. I'm going out on a limb anyway to reflect on the paradoxical nature of these two statements, and how they apply to my photography practice. For me, a portrait is a balancing act between my perception of the subject, my own experiences and prejudices, and the subject his/herself. It's like a dance with me playing the role of the lead. Sitters may or may not agree to follow my direction with the picture, they may have suggestions of their own. I am aware of my power as a photographer and consider time with my subjects as a gift. Above all, I hope my portraits reflect back humanity and dignity, as Sander's do. Q: Who or what are you referring to as Uprooted? A: Central to the project is the idea of sense of place, and how it forms the basis for identity. On a personal level, Uprooted refers to being pulled from a place or a set of values. It also refers to agriculture and plants, and the vanishing way of life I knew as a child in Belmond. Q: Can you say more about connection in the context of Uprooted? A: In the simplest sense, I am searching for connection with a place where I lost touch. In a more holistic sense, it's about people relating to one another, both within the town, and between the town and the country at large. I get the feeling there is a disconnect between rural and urban life, and I want to explore that a little more. Not long ago, I happened upon the book Arbus Friedlander Winogrand: New Documents, 1967 in my favorite museum gift shop. Recently published on the 50th anniversary of the MoMA exhibition of the same name, it was curated by longtime proponent of art photography John Szarkowski. Prior to the 1960s, he contended, documentary photography focused on social issues. For him, the featured photographers presented a new direction in photography. "Their aim has been not to reform life, but to know it," he said. For a couple of generations now, Diane Arbus and Gary Winogrand have been influential to artists who look to the peculiarities of everyday life for inspiration. With my pictures, I aim to share the quirks of my experience with my audience.